Hollyoaks is adding to the already thriving McQueen clan as Sylvester McQueen, known to most as Sylver, arrives with the cloud of a tormented past hanging over him, having recently been released from prison. Raised on a farm by his loving but strict, catholic mother Breda and step-dad Vinnie, along with his half-sister Goldie, Sylver fell into the wrong crowd as a bored kid. But petty crime turned to tragedy for the family when he was locked up for killing his abusive step-father. Arriving in Hollyoaks and looking for somewhere to stay, Sylver turns to sister Goldie to put him up, and it doesn’t take long for them to start bickering in true McQueen style. Hollyoaks' Goldie McQueen will soon have a blast from her past when she's visited by her long-lost brother. Chelsee Healey made her big return as Goldie following maternity leave earlier in the year, and it looks like her character will be facing some serious family woes in the months ahead. Hollyoaks is set to introduce Goldie's long-lost half-brother Sylvester 'Sylver' McQueen. He'll be played by David Tag, who previously turned up in the Channel 4 soap briefly a few years back as unrelated character PCSO Rocco. Unlike PCSO Rocco, Sylver has spent most of his life on the wrong side of the law. He was raised on a farm with Goldie by their strict Catholic mother Breda and his abusive stepfather Vinnie. Sylver turned to petty crime in his teenage years as an outlet for his pain, but was ultimately sent away to prison for murdering his and Goldie's stepfather. Fresh out of jail, he wants to start a new chapter and needs Goldie's help. It's not long before the siblings bump heads — can they ever truly put the past behind them and find common ground? And which lady will find herself falling for Sylver's charms? 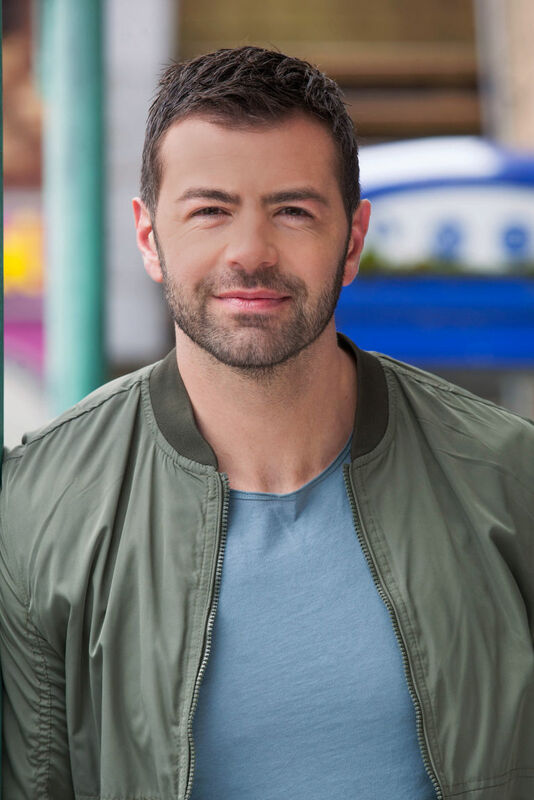 Sylver is the latest in the extended McQueen clan to appear on Hollyoaks, with the show currently also featuring Myra, Mercedes, Prince, Hunter and, of course, Goldie. In other major Hollyoaks casting news, it was announced on Monday (May 21) that Stephanie Davis will be returning to screens as Sinead O'Connor later in 2018 after being notoriously fired by the soap three years ago.